It appears that Survey Analytics is listening intently to its customers and with good reasons. The software firm, which currently offers an array of research tools for conducting market research, including survey design and hosting, reporting, advance analytics and panel management, recently announced the launch of its latest product – MicroPanel. MicroPanel is designed to facilitate both Question pro and Survey Analytics customers access to online respondents for survey participation, using one dedicated platform. However, don’t let the prefix in the name fool you, as MicroPanel is described as a network that consists of multiple niche panels in various industries, giving their clients access to millions of respondents online. Panel members are rigorously recruited and profile information account for more than 400 data points on each member. 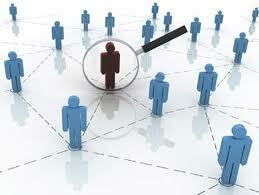 This, ultimately, will provide their clients with a breadth of information and the ability to select richer samples. Interface – A unified, automated platform to facilitate access to research sample at the click of a button. Specialty Panels – Access to respondents in various sectors: Health, IT, Financial, Mobile, Automobile and others. Reach - MicroPanel currently offers representative sample from US, Europe, Asia, Latin American and the Middle East. Friends – They’ve partnered with a few top shelf sample providers that specialize in certain market, to ensure full project feasibility to their clients at all times. Survey Analytics is certainly not new to the data collection arena and this is not their first rodeo. With an abundant list of high profile clients who are conducting thousands of interviews daily on their platform, the company has focused on developing custom research solutions for advance analytics and enterprise feedback management, as evident by Ideascale, Micropoll and a number of other products that fall under the Survey Analytics flagship. The addition of MicroPanel certainly follows that path. With the rise of social media, combined with more consumers having access to the internet, sample providers are a dime and a dozen. This is good for competition, but can also create confusion for the sample buyer. Simply managing bids from different providers with different prices, using different platforms can be a daunting task and this does not even include sample quality. Survey Analytics bridges the gap by providing its clients with a much needed service, using a unified platform. By taking a quick peek at the MicroPanel platform, the process of purchasing sample seems very intuitive and user friendly. 5) Submit by clicking on “Quote request”. After submitting the quote, a summary of the customer’s project specifications is immediately displayed, pending review from Survey Analytics. The wait period did not seem excessive, as it only took a few hours to receive a quote for a general consumer study with standard requirements. MicroPanel certainly appears to be the missing piece that completes the full circle for Survey Analytics and their customers. Judging from what we’ve seen thus far, they may have a few more tricks up their sleeves.